I have a confession to make: Circa 2005, I dressed myself, my husband, my mother, and my daughter in matching Aloha wear for family pictures. There, I said it! And, here’s another confession: We looked awesome! Hilo Hattie: You’ll find Hilo Hattie stores at Ala Moana Center, Lahaina on Maui, and Lihue on Kauai, and it’s worth a trip just to see how many fun family matching outfits are on display. The company’s classic red hibiscus print is always a favorite; although, the company has lots of other cool prints, too. And, no one’s too young to match! The company has sizes from infants to adults. If you’re interested in browsing through the store, take advantage of Hawaii Aloha Travel’s Maui Sightseeing Tour. The excursion takes you right through Lahaina, so you can shop around and soak up the town’s rich history. It's always fun to look-alike as a family (for special occasions). Boutique stores, such as Reyn Spooner, carries matching Aloha wear perfect for a great photo. Blue Ginger: Blue Ginger in Waikoloa on the Big Island is the scene of the crime during my family Aloha wear spree. Although you’ll pay a premium for the fine quality of the clothes, the prints are fantastic and look great in photos. If you’re looking for a minor investment, but one that will pay-off in memories, check-out the company’s selection. Reyn Spooner: Let’s say Dad wants a special photo with the kids, where can you find great matching Aloha wear in Hawaii? 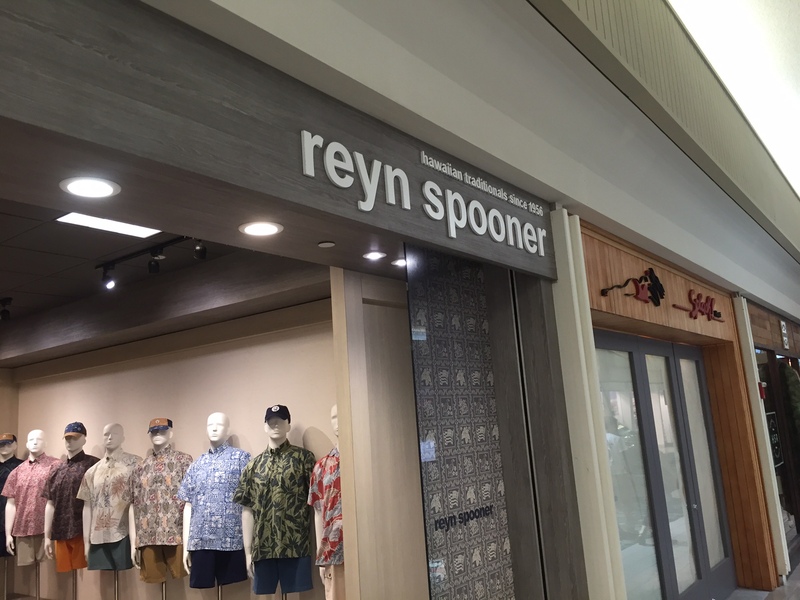 Reyn Spooner, of course. Although Mom will be out-of-luck at this store, it’s a great place for Mens and Childrens’ clothes, matching or not! Check out the collections, too — some collections sales benefit charities. Five locations on Oahu. 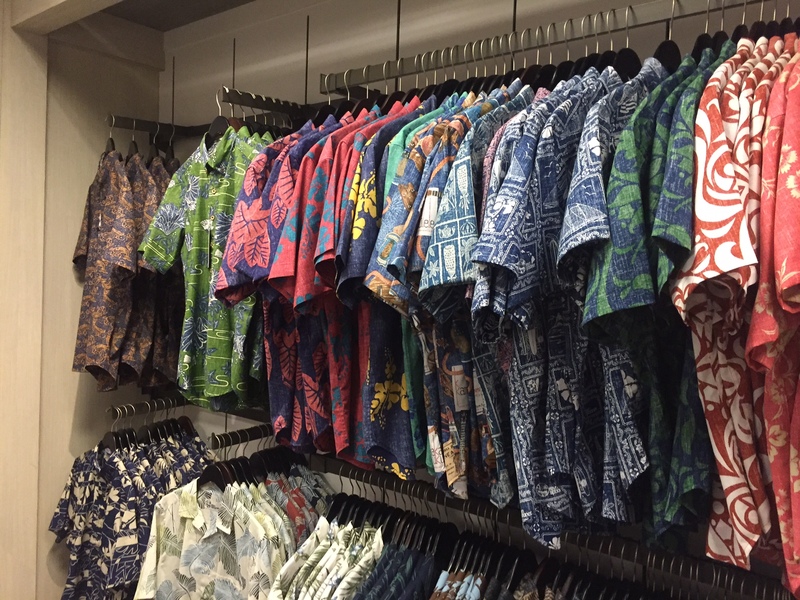 Aloha Outlet: This is an online resource for matching family Aloha wear. And, you may find the prices a bit more reasonable than brick-and-morter stores in Hawaii. So, if you’re interested in buying your matching outfits BEFORE you come to Hawaii, consider this online store. If you're looking to match the entire family, make sure you consider purchasing a print that you'll be proud to wear even after the photo is finished. Shaka Time: You can’t beat the selection at the online store, Shaka Time. I felt like I was scrolling, scrolling, scrolling! Because this store isn’t a brick-and-morter store in Hawaii, the prices are a bit more reasonable than here in the islands. But, to that end, when you buy online, it’s difficult to guage the quality. Wearing matching Aloha wear in Hawaii is a rite of passage for many families who visit the islands. So, even though those at home may make fun of your matchy-matchy outfits, you know the truth: Only the cool families dress alike!